Yesterday, I doled a healthy heaping of blame out to former Gov. Kathleen Sebelius. Obviously, this ongoing budget trainwreck isn’t all the fault of Sebelius and the boneheads who elected her. Kansas’ revenues were $53 million short of expectations last month. For those keeping count, that’s $79.6 million short year to date. Kansas’ budget is busted. 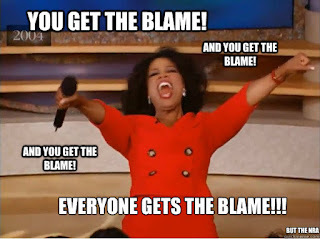 There’s plenty of blame to go around! 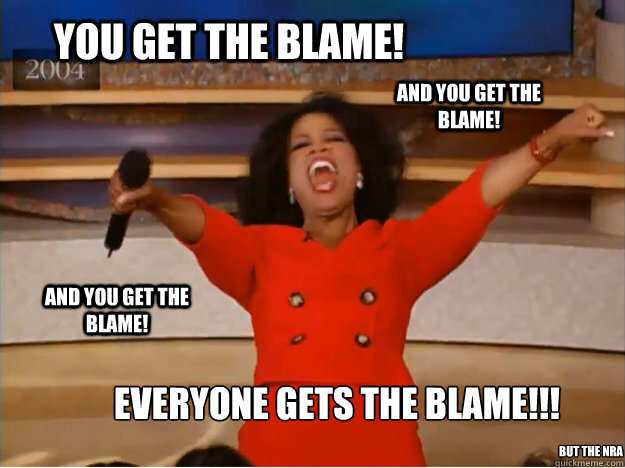 Kansas’ sacred cows also get a healthy dose of the blame. Kansas has two sacred cows, K-12 public indoctrination camps schools and agriculture. In a lot of religions, beasts are sacrificed. But not in the Kansas Legislature. These sacred cows serve as false idols to be worshipped and adored. No questions asked. They deserve all of the funding and all of the tax breaks. The end. As everyone who hasn’t been holed up in a cabin shunning society realizes -- Kansas public schools are bottomless pits of spending. There is no amount of funding that will ever satisfy this sacred cow. Members of the Kansas Legislature could collect every cent earned or spent in Kansas and give it to the public schools and they would be rewarded with angry teachers in red shirts surrounding the capitol screaming and cussing at legislators for not offering to sell their own kidneys to fund the summer homes of school administrators. Kansas spends too much money, and public schools get the biggest chunk of the money. Legislators have done their level best to put school spending in check, but that beast is hungry and has the undying support of the attorneys handpicked by a bunch of other attorneys to sit on the Supreme Court. Kansas attorneys are running a real racket. They pick their friends to sit on the bench, then sue the legislature for more funding for schools while collecting a hefty sum to “represent” the schools before the judges they picked. I don’t know how this isn’t illegal. It may be too early to assign blame to the aforementioned steaming pile of legislators, but whatever budget crises occur from today onward, blame them. Seriously, blame these legislators. If you’re smart, you’ll do more than that -- you’ll fire them. So, Kansas Supreme Court and questionable members of the House: Please take your share of Kansas’ budget woes blame. And then pass the plate. There’s much, much more to go around. Great information to everyone. Great job done. Jerry Moran vs Mike Pompeo?? Just How Short Are People's Memories? The Dems. Make It Stop. Budget Shortfall -- Who Gets the Blame, Part 1.